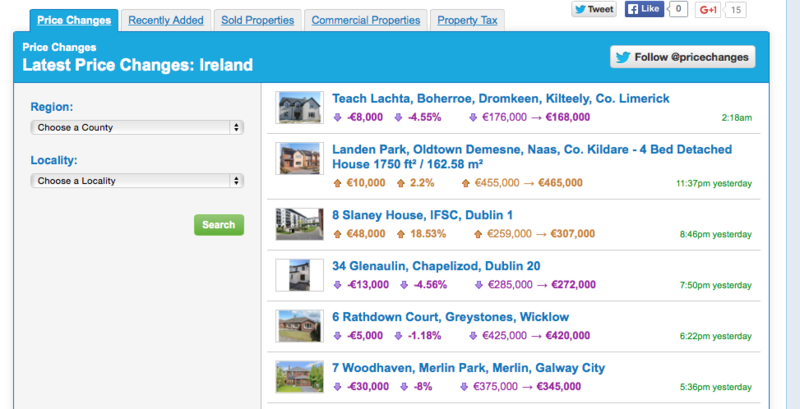 We all like looking at property and MyHome.ie is one of the most popular locations to do so. With that in mind, we’ve put together a few short tips on how to get the most from MyHome.ie. Searching for a property is relatively simply. Just pick the county and locality of your choosing and away you go. By choosing advanced search, however, you can narrow your search based on specific criteria including price range, number of bedrooms, property size, type of property, energy rating and even recently added. There is also a keywords field where you can search for particular estates, Eircodes or locations within your chosen area. Not found what you are looking for on this occasion? No problem. The right property for you could already be on the way to the market. To ensure you don’t miss the latest properties added to the site in your area or within your chosen criteria, click on the ‘Create Property Alert’ button on the search page. You will need a MyHome.ie account to use this but the sign-up process is quick and simple and after that you simply choose how often you want to receive alerts from us and we will notify you by email whenever anything new comes onto the site. These alerts will also include price changes, displaying the properties in your area whose asking prices have gone either up or down recently. Like the look of a property and want to keep tabs on it or want to share the brochure with a friend or family member? That’s no problem either. Use the ‘Favourite’ button to add it to your favourites, click ‘Print’ to print out a copy of the brochure or ‘Send’ to share the brochure with someone. 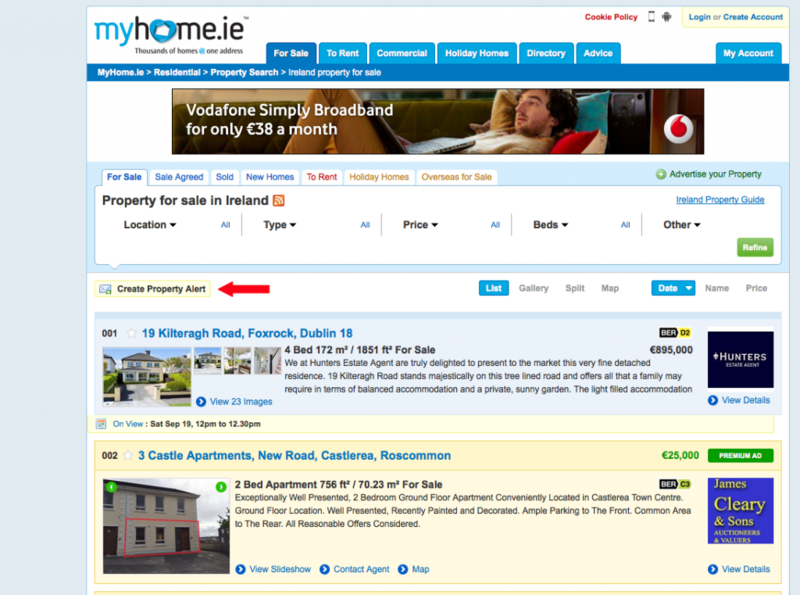 Want to browse MyHome.ie on the move? That’s no problem. 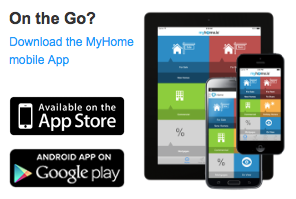 Download our apps for iOS or Android to have the full MyHome.ie experience no matter where you are. We also have a mobile website to make browsing MyHome.ie as simple as possible for those who don’t have the app. Many of the site’s most popular features are also available on the app. Fancy a different way of looking for properties? 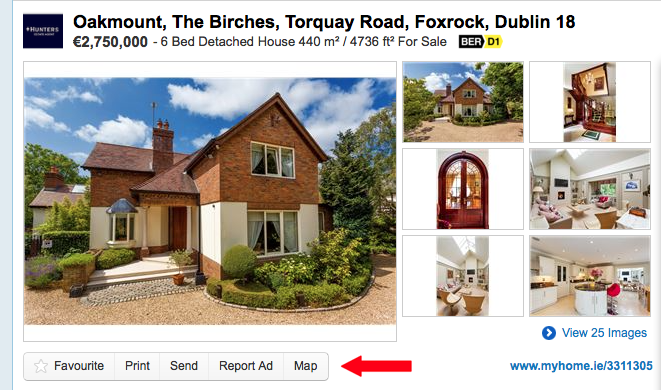 Then try the MyHome.ie map search. This allows you to narrow in on a particular area to see a street by street guide to what is available in your area of interest. That dream home you looked at a few months ago might have been out of your price range back then but that doesn’t mean its asking price can’t fall. Keep track of the latest price changes in your area at www.myhome.ie/pricechanges. These price changes will also be displayed towards the bottom of a property’s brochure page. Looking at pictures of a property is one thing but seeing it in the flesh is quite the other. All estate agents will happily arrange a viewing with you on request but sometimes it’s nice to be informal and just pop along to an open viewing to suss a place out. MyHome.ie was the first property website to offer a comprehensive list of on view properties and this means you can keep track of what’s on view in the residential, rental and commercial markets in your area. Want to keep track of what properties in your area are selling for? Then check out the Property Price Register, which lists the selling price of all properties in Ireland since 2010 onwards. 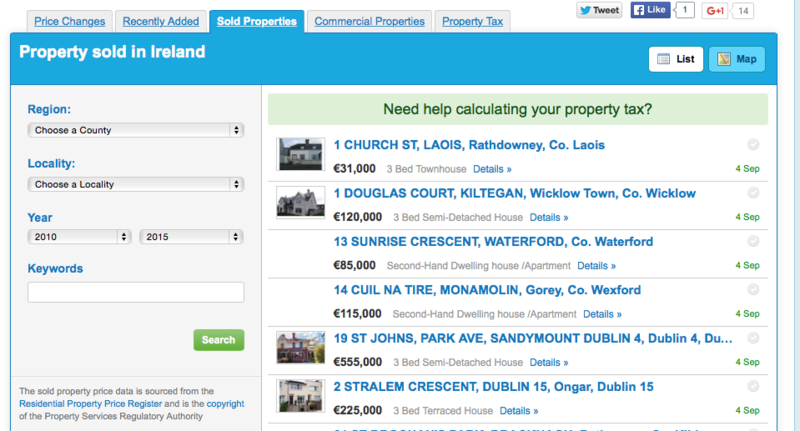 MyHome.ie also hosts the Commercial Lease Register, giving a detailed list of lease prices for commercial properties. Information for both registers is taken from the PSRA/Revenue Commissioners. 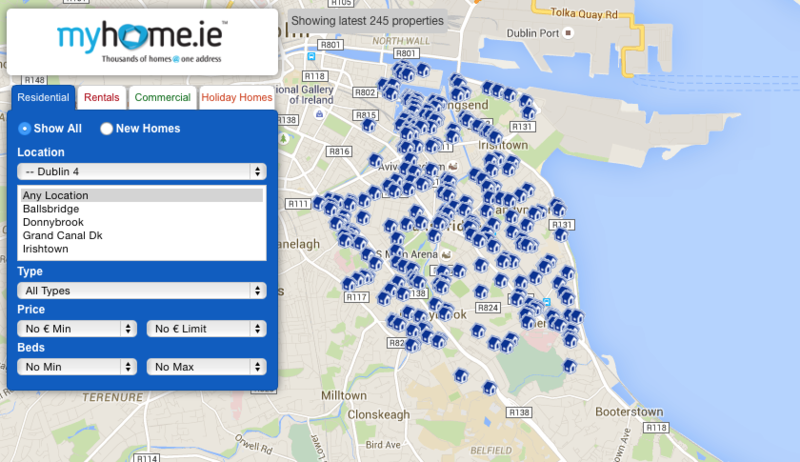 At the end of each quarter MyHome.ie compiles a property report in association with Davy. These reports monitor the current trends in both the market and the wider economy and give an indication of what you can expect to pay for a property around the country. 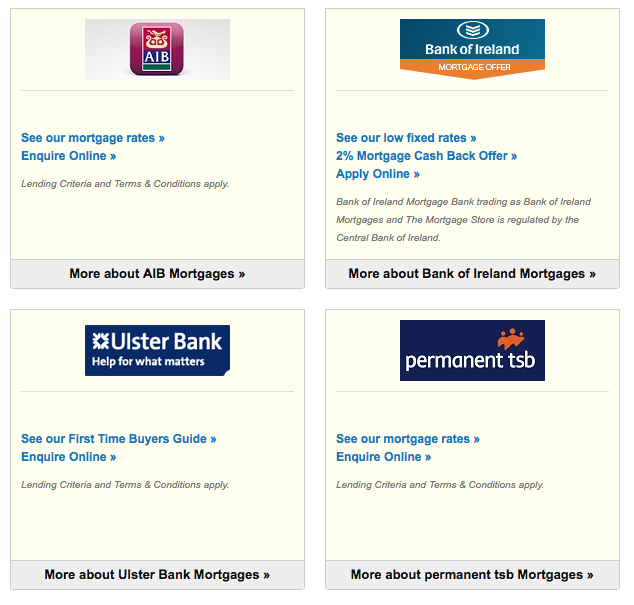 Keep up to date with the latest mortgage rates in the market from some of Ireland’s leading lenders in the MyHome.ie mortgage centre. From here you will also be able to lodge an inquiry to kick-start the buying process. Want to know what you can afford? 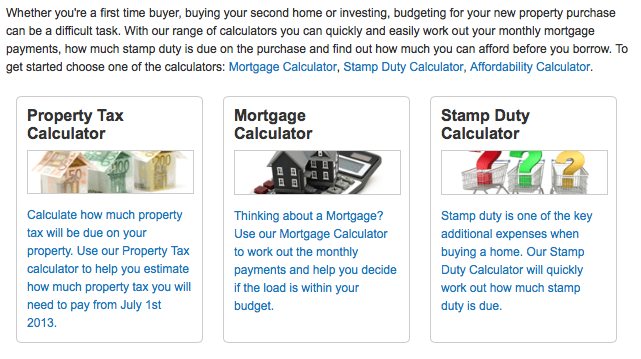 MyHome.ie has a range of calculators to assist you. From our mortgage calculator to our property tax calculator, we can help give you a rough guide on the costs you can expect to pay. We also have a stamp duty calculator and a Rent or Buy guide which will give you a general idea on the lifetime costs of buying a property as opposed to renting it. Finding the right place can only be the start of your needs. Whatever else you require MyHome.ie can help too. Whether it’s a solicitor, architect, BER assessor, moving specialist or tradesman you’ll find it all in our services directory. We’re lucky to have some of the best estate agents in the country advertising with us whether they be residential, rental or commercial. Find a list of those in your area and contact them directly via MyHome.ie. Also, STREET view shouldn’t be disabled on Google Maps. I don’t see what’s the point of not showing the user the good, the bad and the ugly places. What is the mantra of selling and buying property? LOCATION, LOCATION, LOCATION! !